As life takes many twists and turns and I like to wear many hats, I have opened myself up to new adventures. I was an art major in college. After college, I became a Real Estate Broker. In 1998 I had the desire to go back to my art roots and draw my dogs, Salukis. My animal art evolved into a small cottage business. In 2010 my friend, a fellow writer told me I know so much about dogs that I should write about them. That same year I started a pet column, West LA Pets for Examiner.com. Writing about dogs includes discovering pet-friendly hotels and places to travel with pets. Being I have done extensive traveling and collected wines since the 1980’s, it was only natural that I spread my wings by writing about wineries that are dog-friendly or where dogs play a significant role in the winery itself. Less than six months after beginning my pet column, I expanded and started a food, wine, art, and travel column, LA Epicurean Travel. It was during my first trip to Solvang as a writer that the doors opened for me. On that trip, by chance, I met the head of tourism for Solvang, CA and one of the directors of the Santa Rita Hills Winegrowers Alliance. As I am a little networker, the opportunities quickly came my way. I established a list of PR contacts and was invited to events and media tours. The list continues to grow. In 2013, I found I needed a separate column to concentrate on the wines and wine tastings I now review. That column, Brentwood Glen Wine spoke for itself. Since the closure of Examiner.com, you can find all articles on my blog including additional outlets I write for such as Big Blend Magazine, Dogster, FWT Blog, FWT Magazine and Wander with Wonder. 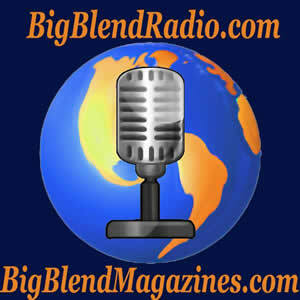 Of recent, I have been on several radios shows including Big Blend Magazine and SoCal Restaurant Show. My art background plays an important role in my writing as I utilize the palette both visually and verbally in many of my articles. As a person with food allergies, while writing restaurant reviews, I like to explore and find those chefs that think outside the box and are willing to make accommodations for those with dietary restrictions. My writing epitomizes “write what I know,” and I share my experiences and joy with my topics in a passionate, candid, caring and entertaining way. Like my art where I am looking beyond the eyes to find an animal’s inner soul and spirit, I am looking for the story that is behind the restaurant, chef, winery, winemaker, artist or animal. In 2014 I earned my WSET Level 2 Award in Wines and Spirits. In 2015 I won a Maxwell Award from the Dog Writers Association of America for an article about a winery dog. Also in 2015, I received the NASA American Wine Specialist Certification. In 2016 I was awarded the NASA Spanish Wine Specialist Certification. Now in 2017, I won the Kari Winters Cat Rescue and Rehabilitation Award from the Cat Writers Association.